I used to work a few blocks from the Oakland Library, the main branch. I would often spend lunches browsing for new reads, music, or inspiration. They have gorgeous books in the reference library. 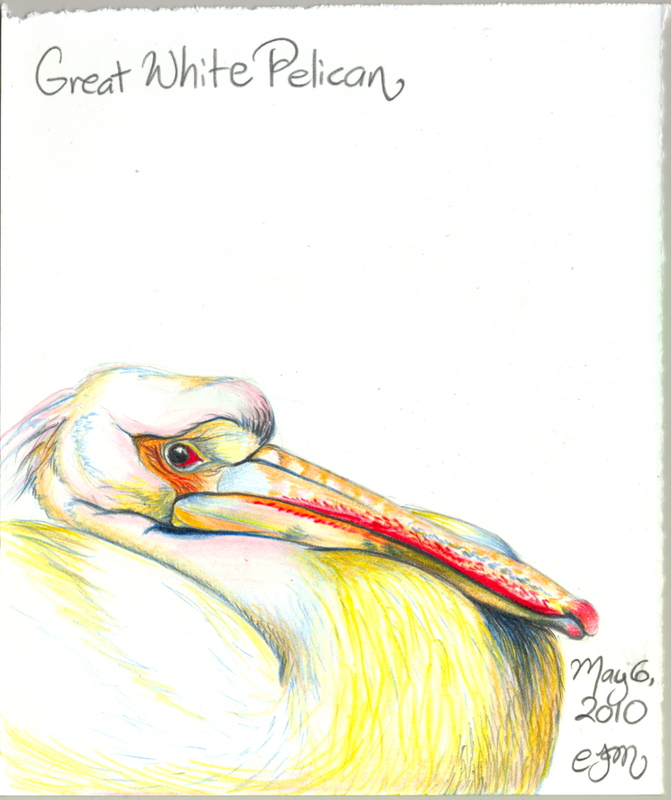 I brought my colored pencils and created this beautiful bird on a particularly happy lunch break.